Sometimes I like to reminisce about the good old days of amateur Web site development – back when Notepad was your best choice for an HTML editor, frames were all the rage for site design, and newbies turned to services like Geocities as a free host. Times have changed, and so has user experience. Nowadays, the average Web surfer won’t tolerate frames or animated GIFs any more. Thanks to a slew of high-quality Web browsing experiences the bar has been raised, but that doesn’t mean that the amateur Web administrator can’t clear it any more. You just need to tap into a few new innovative and free services that will make you look like a pro. In a day and age dominated by PHP code and Cascading Style Sheets (CSS), MySQL databases and Java-enabled Web applications, it is a bit more intimidating for the layperson to set out and create their own Web site. But there are some services that will make you look good without having to crack a book on code writing. Whether you want to create a full-featured Content Management System (CMS) for your business Web site, create a YouTube-like video sharing service for users, design easy to browse photo galleries, or have Web forms and surveys, it’s all within your reach. We took a look at four different Web services that promise to bring these features to your site for free. The exclamation mark in Joomla’s name is justified by the fact this full featured and adaptable CMS is open source – which means you can use it for free, and there are a lot of developers who work on enhancing it. A content management system allows you to manage your Web site in s simplified way. You can create and edit content, design navigation flow, and manage your ad placement while tracking the traffic statistics. Joomla! allows you to start a Web site from scratch or convert a Web site you already have to run on its backend. Get started by reading through the complete guide for beginners and playing around with the demo site that is available to registered users. You’ll quickly discover that the excellent features and functionality of Joomla! is matched only by the online documentation available on its Web site. Created by New York-based non-profit Open Source Matters Inc., this service comes complete with a user and developer community that is ready to answer any question. Some core features of the CMS allow you to set up user accounts for your Web site. You can then display a “Who’s Online” box showing who’s logged in and how many guests are online. The authentication method ties into Gmail and OpenID accounts to make it easier for new users to get registered. Users who want to run advertising on a Web site can use the Banner component to organize the ads by category and client. You can quickly add and remove banners, publish them or take them offline, view where they are linking and see how often they’ve been viewed and click. There are many more core features and for specialized functions, users can explore the many extensions that have been created. Developers will find they can easily build on Joomla! features. With such venerable Web sites as the United Nations and Harvard University using Joomla! as the back end system, this CMS can’t be ignored. Many companies will pay hundreds or thousands of dollars for a CMS, but Joomla! is amongst the best and it can be used free of charge. If your Web site host supports PHP and MySQL databases, then you can easily install Gallery 2 to manage and share photos. If you’ve always wanted to have a slick photo gallery feature that makes it easy to upload photos and for users to flip through them, this is your best option. This open source gem was created by Bharat Mediratta and you can get the installation package for your Web server here. The easy installation is one of the best features of this tool. Basically you upload a PHP file to your Web site, navigate to the URL and input a password. Then you’ll follow an 11-step process that will install the latest version, set up a database for you, and allow you to configure it as you see fit. You can choose from many different themes to give your new photo gallery the right feel. My favourite theme was a transparent one that allowed me to customize the layout and it fit right into my Web page design seamlessly. Also create user accounts for your galleries and give different users permission to upload photos, make comments, rate photos, and act as an admin. Admins will be able to arrange albums, delete and add pictures, or manipulate photo rotation and size right in the Web interface. A burgeoning developer community has created some great plug-ins for this tool, such as one that allows for Flash video to be organized in your galleries, or another module that can import pictures from Google’s Picasa. My personal pick is a module that allows you to add photos straight from Windows. In Windows XP you just select the “Publish to Web” option and in Vista, the feature is under the Print options of Windows Photo Gallery. If you’ve decided to use Joomla!, you can even integrate the two applications. This is a Toronto-based Web service that stores its data in Canada. Visit the Web site at www.askitonline.com. The service is simple, it offers a What You See Is What You Get (WYSIWYG) editor that allows users to construct surveys or Web forms. Then you can provide a link to that survey or actually embed it directly into your Web site and start collecting that data. There are also tools to analyze the incoming responses. A free account here will allow you to create two active surveys at a time with 100 responses allowed per survey. The surveys are limited to 20 fields of nine different types. It can be password protected and you can export the results of your data to a Microsoft Excel file. The free mode doesn’t offer storage for uploaded files. The service can be used for more than just a poll of the day feature on your Web site. Use it to build a Contact form that allows users to send you messages directly without popping up a mail client or seeing your e-mail address. Or use it to collect job applications, with the file upload tool collecting attached resumes. There are many possibilities. The paid service here comes in $10, $20, or $30 per month increments. YouTube changed the way people thought of video online. Not only did Web surfers expect to be able to access a wide array of videos, but they also expected to contribute their own with ease. 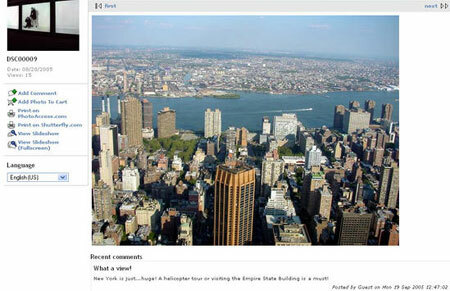 Now San Francisco-based Fliggo brings that to your Web site. This is a fairly new service that is quickly adding features and functionality to this interesting tool. Whether you want to try and compete with YouTube, collect videos fitting a specific niche, or just want to share training videos with your employees, this tool will let you do it. You create a sub-domain site on Fliggo and then choose from a set of pre-made templates that you can customize with your own logo and background image, and choose your own colours. From there you decide how public or private you want your site to be, what users are allowed to upload videos, and whether videos will have ratings and comments or not. 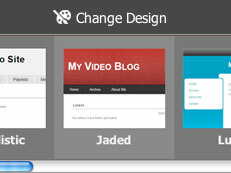 As moderator of your site you can approve all members, videos, comments and more. The service supports many different video formats for upload, including AVI, MP4, Flash, WMV, MPEG and Real Media. There’s a 1 GB size limit and no limit in video length. The MP4 uploads result in the best quality and the default width videos are displayed in is 400 pixels, while videos will maintain their aspect ratio. Just yesterday the site opened up 20 custom domain spots and it plans to start offering this more widely in the near future. That means you can have Fliggo’s video sharing service on your own URL soon enough. HD video support is also planned. Check out this sports video site, Ticket Stumbler, as an example of a site that can be built with Fliggo. To begin, click on the “Get Started” button on Fliggo’s features page.